Yesterday, in my echinacea-Theraflu-ricola-hot-toddy haze, I got a lovely comment from Sabrina at Eat. Drink. 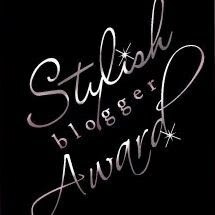 And Be Merry that she was passing along the Stylish Blogger Award to yours truly! I so enjoy Sabrina’s blog and am honored that she’d think of including me in this circle of bloggers who admire the crap out of each other and want to show it. I’ve had a hard time coming up with the origin of the award, and after scanning dozens of blogs of those who’ve received it, I’ve realized that the purpose is more important than the source – simply to share the love and encourage others to keep creating and keep writing. Thank the person who gave it to you. Sabrina and I connected on Foodbuzz. I don’t remember who contacted who first. But she caught my attention because we both share a Portuguese heritage that comes out in our food explorations. Her site is beautiful, her writing style warm and interesting, and her food looks incredible!! A recent post that makes my little Portuguese heart miss my Avo (and her soup) is her Roasted Sweet Potato and Chorizo Soup, and her Punch Drunk Love cake was recently a Top Nine on Foodbuzz! Thank you, Sabrina! The Daily Dietribe: I found Iris’ blog randomly when I first started writing on IAmAWholeHumanBeing, and love her style and delicious recipes. She focuses on gluten-free recipes and healthy ingredients, so I can actually make some of her recipes! The Innocent Primate Vegan Blog: I love this blog and the two ladies who write it are delightful. Back in the day Sara and I used to exchange emails about our food preferences and diets, and I’m continually amazed by the recipes on their site and what they’re doing with their lives. Gluten-Free Goddess: I’ve never contacted Karina, but this blog has done wonders for the gluten-free community. Her site is more than just incredible recipes and photos – it’s a reliable, intelligent resource for those going gluten-free. Healthful Pursuit: I recently found Leanne’s blog, and find myself bookmarking many of her recipes. They’re delicious! And with her degree in healthful nutrition, you can rely on her to blog you the good stuff. Bake or Break: Sadly, I can’t eat most of the gorgeous recipes on this site, but boy do I like to look at them! Beautiful pictures and mouth-watering recipes from a Southern woman recently transplanted to good ol NYC. 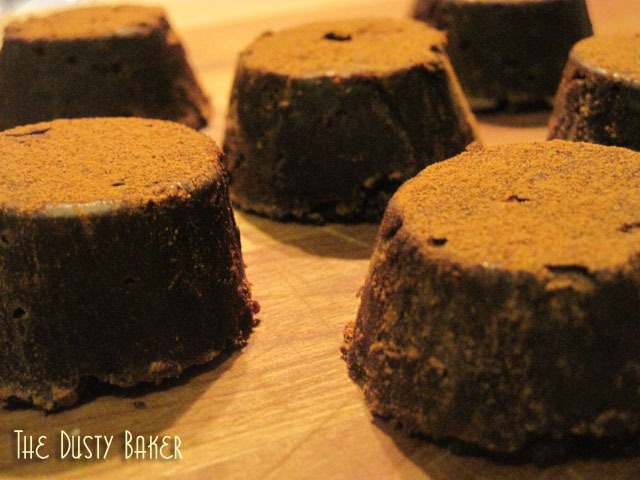 A Tablespoon of Liz: Liz has her BA in pastry arts and she’s exploring being a vegetarian. I love reading about her progress. And peanut butter banana cupcakes. I love reading about those too. Sticks, Forks, Fingers: Pam is sorta living the life I hope accidentally happens to me. Love took her from big-city living to a rural home where she buys local eggs from the dude with chickens in his back yard and her wine is mostly local. I love her style and the bits of foodie-knowledge she throws into her posts. Bittersweet Sugar and Sarcasm: If we lived in a Marvel world, this guy would probably be my archnemesis. I say that as a compliment. And now I’m thinking about superhero baking powers and dramatic backstories. Anyway. If you want your sweet with a dash of sarcasm, read his blog. I want to run into him on the subway so I can give him a shot of insulin and an apple. Sandra’s Easy Cooking: Sandra is one of my new favorite people. The quote on her Foodbuzz sites is “When you believe in yourself, anything is possible”. Her site is beautiful and her spirit is just too divine. Check her out please. Rosemarried: I recently discovered Lindsay and bookmark the crap out of her recipes, like Beet Quinoa pancakes and Grapefruit cupcakes. And the woman has 3 chickens. I really want chickens. In NYC. Yes. So, from going over these favorites I’ve realized that (a) all my free time has been taken up specifically with food-blogging sites. Really, that’s all I seem to follow anymore other than the Huffington Post and NYC sites. (b) I should live in Oregon, because I am most jealous of bloggers who live there. (c) This is an awesome foodie world we live in. I smell people’s food. Since I can’t eat gluten, cow dairy and sugar, I often literally pull fellow diners’ plates to my nose when we’re out and they’re eating something I can’t. Consider yourself warned. I own (and know how to use) tools. My family business is construction and development. So I own and know how to use power tools. I have painted several apartments, most recently my boyfriend’s. Luckily he finds my owning a power drill hot. I once pretended my dad was in the Portuguese mafia: He cut off part of a finger in a construction accident years ago. In college I subtly dropped to my friends that my uncles were mysteriously missing the same finger. My dad and tios have strong Portuguese accents and drive nice cars. It took years to convince all my friends that I made it up. Which I did. Really. I want to own chickens. Really. On an NYC rooftop is fine. I don’t know how to swim. I never learned properly how to swim and have a fear of dying underwater. That doesn’t stop me from playing in the ocean though, or gliding across the pool. I love to walk. My first bout of Lyme Disease left me unable to walk for a while when I was little. So I am always thankful for this ability. I want to be a superhero: I don’t read many comics on my own, but have a somewhat nerdy thing for guys who do. And love the culture behind where so many comics come from, and the talent of artists who make them.